Did you know you can enjoy Buy One Get One Free offers at Aphrodite Hills Golf with the Entertainer? 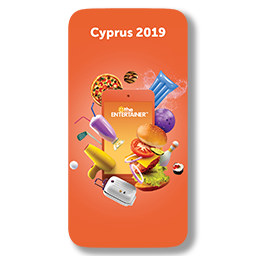 Download their free App to become an Entertainer Member and try some of the dining, spa, leisure and hotel offers for free! I‘m sure you‘ll save and smile a lot just like I do with the Entertainer.